Does The Marcy Start ME709 Recumbent Bike Appeal To The Less Able? Recumbent bikes like the Marcy Start ME709 Recumbent Exercise Bike are always going to appeal to those that want a gentle workout instead of an intense spin class. 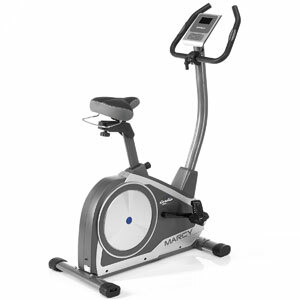 This bike machine has a 4kg flywheel and smooth belt with the aim of reliable, gentle motion for users. It is also adjustable for different users, has a small computer console and doesn’t require mains power. There is a lot here that should draw in those with limited experience or mobility issues. Does it live up to expectations? 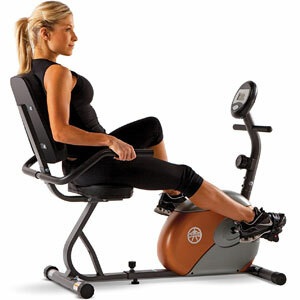 Does The Marcy Recumbent Mag Cycle Work Best As A Rehab Exercise Bike? The Marcy Recumbent Mag Cycle looks like an appealing choice for those new to recumbent bikes and home exercise. Some recumbent cycles are big, bulky machines that look like the more comfortable option that users would find at the gym. This model seems to take a different approach. The sales photos show something a lot smaller and more simplistic in style, which perhaps means something a little more accessible for inexperienced, at-home users. Is this the case, or does this stripped down approach mean that there are a few flaws to contend with? 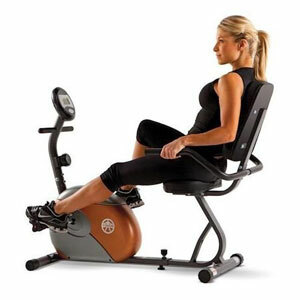 Is The Marcy Azure RB1016 Recumbent Exercise Bike Too Focused On Comfort? The product descriptions for the Marcy Azure RB1016 Recumbent Exercise Bike tend to focus more on one aspect of the design than the other. There are lots of statements about the comfortable ride, via the large recumbent seat, and the way that users can enjoy their work out. The sales pitches talk about liberation and motivation for those that struggle to get moving. Yet, there is little talk about the settings, programmes and workout options. Does this mean that this indoor bike machine doesn’t quite go far enough for the needs of most users? 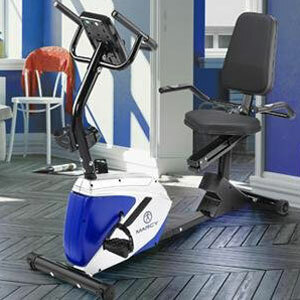 Is The Marcy CL803-B80 Cardio Star Deluxe Exercise Cycle A Case Of Style Over Substance? There are many buyers talking about the Marcy CL803-B80 Cardio Star Deluxe Exercise Cyclein terms of its style, saying that it is an attractive model to have in the home with its curves and silver and black design. There are other aspects to the specification that are appealing too, such as the 5kg flywheel and 16 levels of electromagnetic resistance. Is this machine more than something to just look pretty?